Each year the competitors at the Flying Scot Midwinters nominate a fellow sailor to win the prestigious Allen Douglas award, given to a sailor who portrays the best example of sportsmanship at the regatta. Several people were nominated for their various actions which is a testament to the camaraderie in our class. But the one with the most votes gets the award, and this year's winner is Jim Cosgrove from Clinton Lake Sailing Association. Jim was seen before and after races helping one team after another getting their boats on and off the dock and the class definitely appreciates this! For the first time ever, the Flying Scot class has a third time winner of the Midwinter Championship to be engraving their name once again on the Mary Meno Perpetual Trophy. 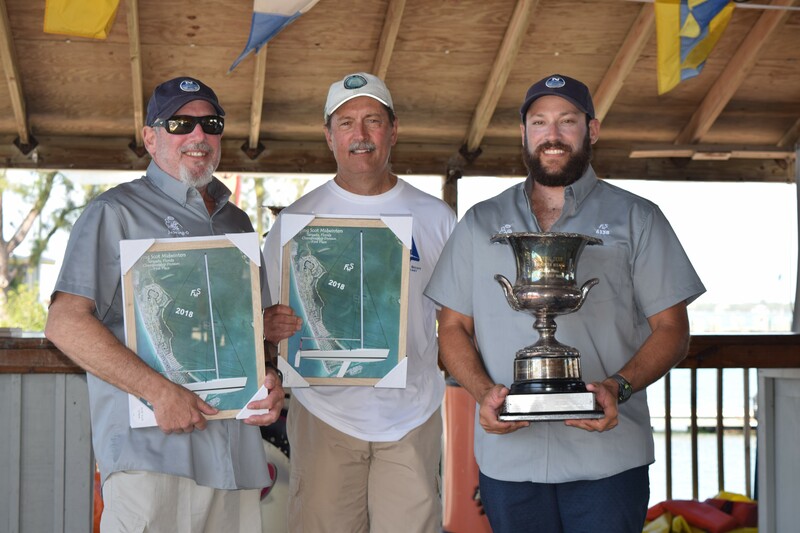 Zeke and Jay Horowitz were the best of the 40 boats in the large Championship fleet and their consistent sailing is evident in the results. Zeke gives his Dad all the credit and of course Jay gives Zeke all the credit - it's an incredible team. Jay just beams when you talk about what a great sailor his son is and he says sailing with Zeke is one of the greatest joys of his life. Congratulations to Zeke and Jay once again! Wiil there be a fourth win in their future? Stay tuned. 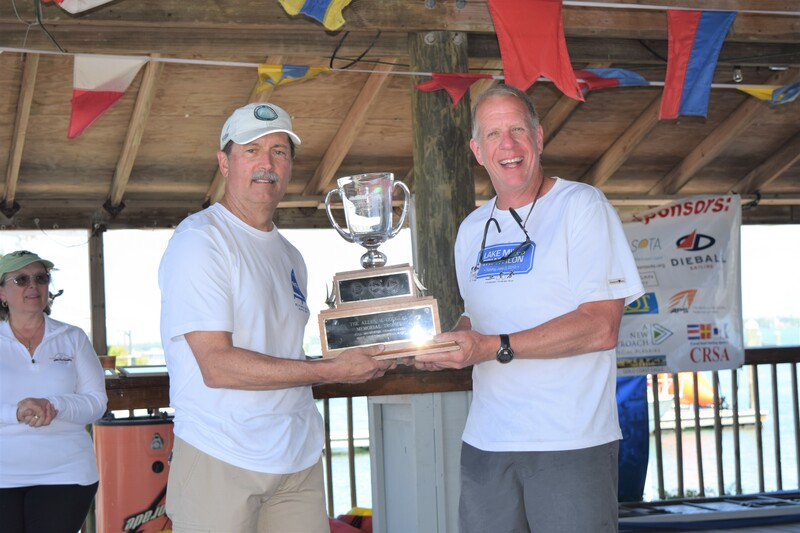 In the 23-boat Challenger Division there was some pretty close racing at the top. 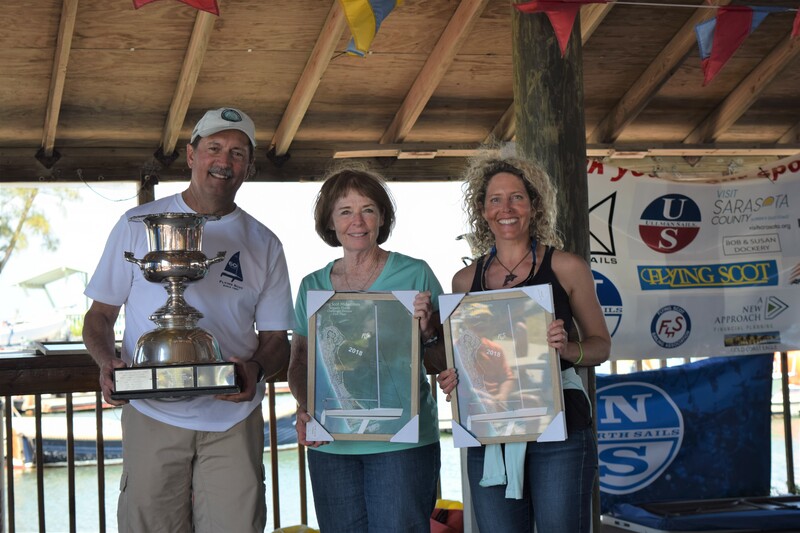 But in the end, our president Bill Vogler and his crew Peg Woodworth and Carey Seven are the proud winners of the Brenda Pollack Perpetual Trophy Bill and his crew were pretty consistent and won 2 of the 5 races in the series, not always easy in a fleet that large. Congratulations to Bill and crew - hope you can sail here again next year.